Often considered as the center and heart of Chile, Santiago is interspersed with an abundance of vibrant neighborhoods to be explored. 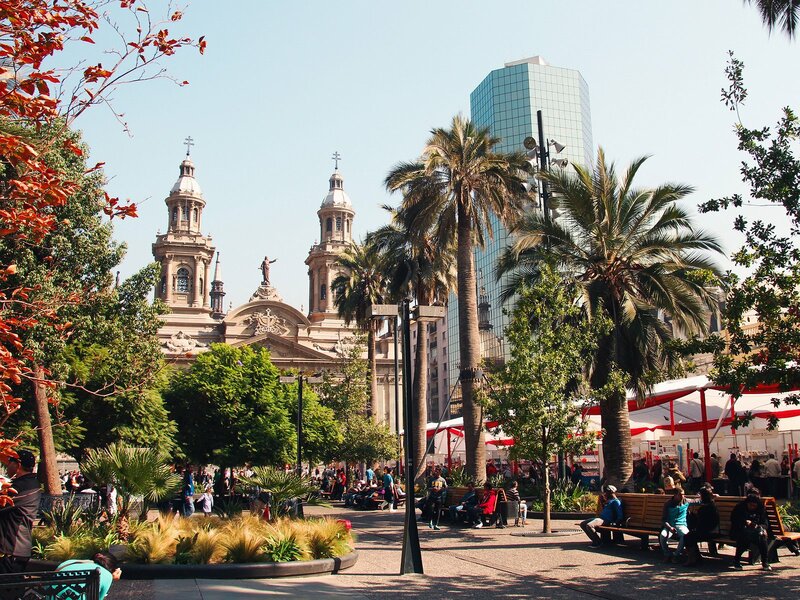 As a city situated in the valley surrounded by the Andes, Santiago experiences a vast range of landscapes, from deserts and mountains to being home to numerous vineyards. Other than being sure to try some of Chile’s most famed wine, the streets hustle and bustle with vivid artwork, lined with colourful houses in the bohemian Bellavista quarter, and while walking, you may just pick up on the aroma of some of the most delicious street food which can be found when trying the sopapillas (fried pastries) and completos (Chilean hot dogs). One thing’s for sure, you will not find a moment to be bored while making your way through the streets of Santiago. 5 Sterne Alles lief perfekt, maria ist kompetent, herzlich und sehr engagiert. Man merkt, dass sie ihre Stadt liebt.